When a browser obviously wants to confuse users so they would utilize it on a regular basis, it is no good. Fast Browser is one of such applications. While are cannot say that this program is a genuine computer threat, it is still suspicious enough to be called a potentially unwanted program. Thus, if you happen to have Fast Browser on your system, the sooner you remove it, the better. You should not take any chances: If you notice that there are unwanted applications on your computer, you need to get rid of them at once. Just because they are not malicious infections, it does not mean they cannot cause any harm. Needless to say, Fast Browser does not try to infect you with malware or steal your personal information. When it comes to potentially unwanted programs, adware, freeware applications, and other pieces of software that fall into the so-called “greyzone,” the point is that they can be used as spying tools by malevolent third parties. Fast Browser may be a web browser, but it relies a lot of third parties for the advertisement content, and other services it can supposedly provide. If at least one of the partners were to turn to the dark side (figuratively speaking), your personally non-identifiable information would be clearly used for cyber crime purposes. The reason Fast Browser may be able to trick the unsuspecting computer users into believing it is a reliable browser is that it is based on the Chromium engine. 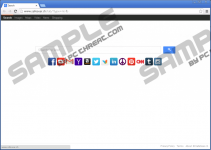 Consequently, it is very similar to the Internet Quick Access browser, and visually it looks no different from the Google Chrome browser. Thus, it is of no surprise that some users mistake Fast Browser for Google Chrome, and all of their web browsing sessions end up being monitored. Using tracking cookies for online activity monitoring is not illegal, but it should not be tolerated when it comes to potentially unwanted programs. As mentioned above, there is no way to know who this information will be shared with. The developer of this browser is unknown because the name indicated is identical to the name of the application itself. Chances are Fast Browser came bundled with freeware, so when you remove this program from your computer, do not forget to get rid of other undesirable applications that might be slowing down your PC right as we speak. When Fast Browser gets installed on your PC, it changes your system settings in the way that Fast Browser gets set as your default browser, and it auto-starts with Windows. This means that once your system loads, Fast Browser pops up into your screen. 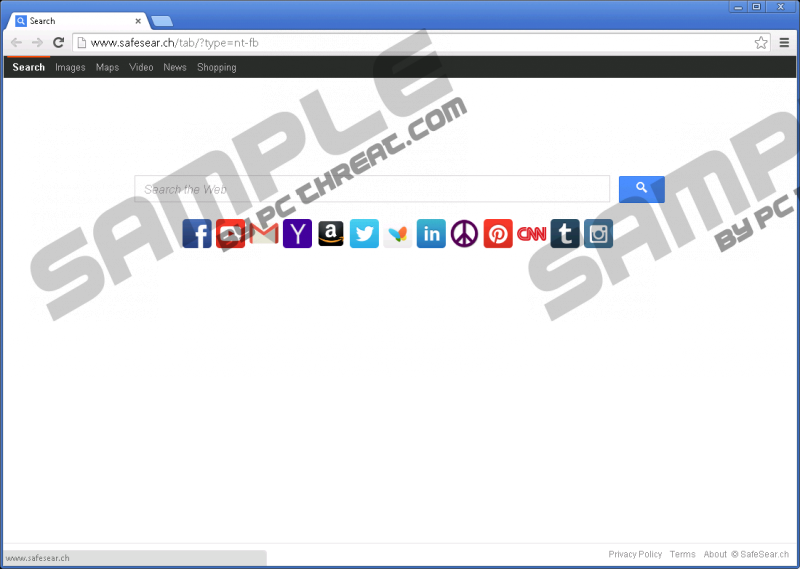 The browser will also try to convince you to use its search engine (safesear.ch), but you should know better than that. It is only obvious that the search engine would redirect you to some other third-party website where your online activity will be monitored and used for monetary purposes. Either way, Fast Browser is too intrusive to leave it on your computer. Delete it right now and then invest in a computer security tool of your choice to prevent similar intruders from entering your system ever again. Do all it takes to protect your PC from harm. Wait for the Charm bar to appear and then click Settings. Highlight Fast Browser and click Uninstall. Go to Uninstall a program and remove Fast Browser. Select Add or remove programs and uninstall Fast Browser. Quick & tested solution for Fast Browser removal.